Nice little show girl. Great fleece! Lullaby comes with a Jacob Black breeding. 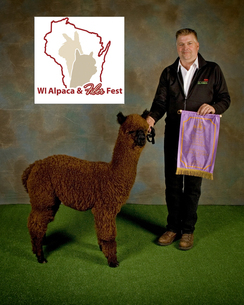 Fawn or black, that cria is going to be standing in ribbons. Update: Lullaby wins a reserve color champion at the Illinois Alpaca Show! Meet Irish Meadows Trax, multi champion boy at just a juvie! This guy is special! 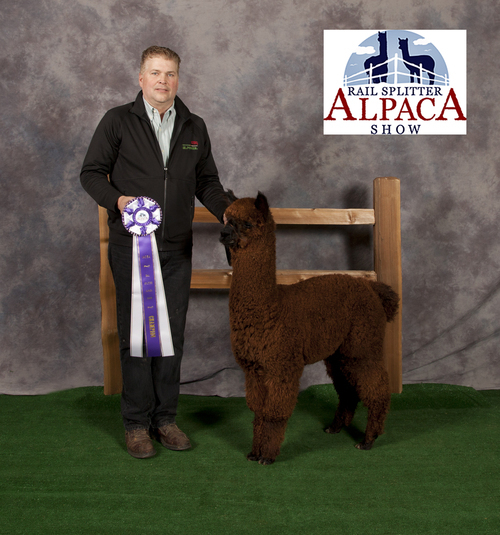 Trax is a full sibling to 5 time champion Irish Meadows Sailor! 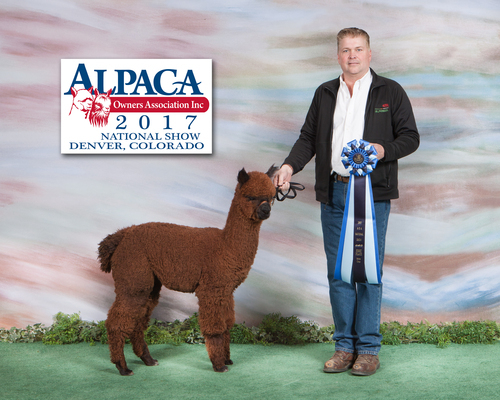 His dam, Lullaby, is a many time champion herself, and his dam Jacob Black is a 19 time champion. We are looking for a half owner in the states, or a full owner overseas. This guy is special! Do not over look him! As Amanda Vandenbosch says, "This male is a little show pony!" Trax has amazing crimp and great uniformity, on top of a perfect conformation package. Overseas buyers: We pay for quarantine costs for the first 90 days if you quarantine with us.